In this week of our study, we learned about various herbs and flavorings used in cooking. Salt was the first flavoring agent that we studied. 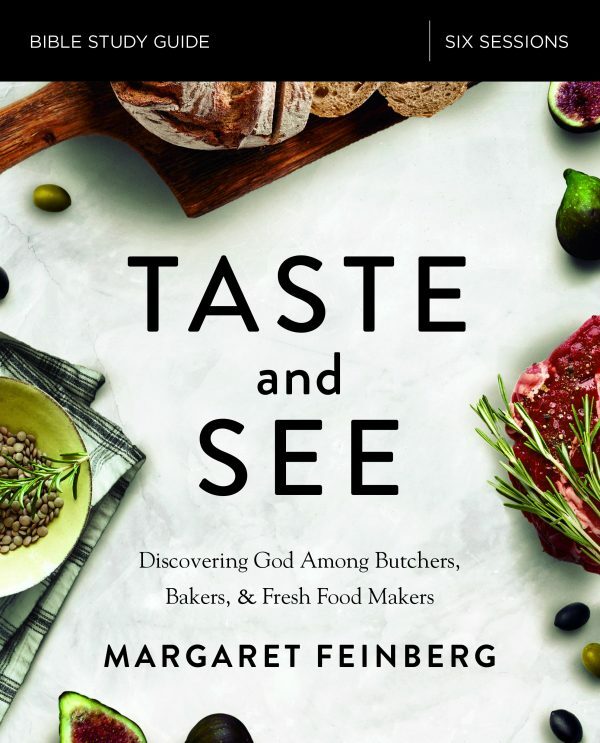 Margaret Feinberg chose salt as her video topic for this week. In ancient times, soldiers were sometimes paid for their services with salt. One of the facts we learned was that the Latin word Sal means salt and that the English word, salary, is a derivative of that word. Our lesson on Day One taught us about the use of salt covenants in the Old Testament. We learned more about the properties of salt and its usage. In addition to flavoring food, salt was used as a preservative, as a purifier, and as a symbol of promise. We learned that salt reveals the permanent, binding nature of God’s promises. We read three promises of God from scripture and chose the one that held the most meaning at this time in our lives. I chose the passage from James 1:5. “If any of you lacks wisdom, you should ask God, who gives generously to all without finding fault, and it will be given to you.” I’ve been seeking wisdom and answers from God over this past year for an area of difficulty in my life. This promise resonated with me the most. On Day Two, we learned about the non-culinary usage of spices in antiquity. We made a list of the seven spices mentioned above in these verses from Song of Songs. Margaret Feinberg shared with us a little information about each of these spices mentioned. I was not familiar with all of these spices and was surprised to learn that the aloes mentioned above are not the kind I have in my garden. They were also used in a very different way. While the aloes in scripture were used for their strong fragrance to anoint the dead, mine are used to heal cuts and burns. Our lesson concluded with a biblical discussion on tithing of spices based on Jesus’ rebuke of the Pharisees found in the verse below. Their focus was on the wrong things. Obedience is nothing without love and they were missing the big picture. We answered application questions that focused on the times we have behaved in similar ways like the Pharisees. We were to consider how we could show mercy and love to others instead of judgment and condemnation. The lesson on Day Three focused on faith like a mustard seed. Margaret Feinberg shared facts with us about the mustard plant and seed. We also had a creative activity. We were to read from Luke 17:5,6 and then draw a branch of a mustard plant with oversized seeds. Within each seed, we were to record the name of an area in our lives where we would most like to grow in faith. Some areas to consider are love, relationships, overcoming fears, community, trust, gratitude, or contentment. On Day Four, we read Chapter Six from the Taste and See companion book and answered questions pertaining to the reading about olives. Margaret Feinberg shared in the book the story of the widow and the oil from scripture. From the time of Noah, and onward throughout the Bible, the olive tree and its bounty is associated with miracles and healing. Olive oil was used in the sacrificial offerings to God and to anoint kings and priests. The oil was used in the ancient lamps used in the temple of God. The oil’s smoke and fragrance wafting up to the heavens symbolized prayer. We answered questions during this fourth lesson about prayer in our lives as well as answering a question about the areas in our life that need healing. Only God, Jehovah-Rapha, can truly heal us. We concluded our week with the activity choices found in our lesson on Day Five. These activities ranged from reading Matthew 26:20-25 and studying DaVinci’s painting of The Last Supper by taking particular notice of the location and position of the salt, to creating our own smoked salt to give away as gifts, to purchasing specialty salts and inviting others over to discover their unique flavors, or to trying the gluten-free salted dark chocolate cookie recipe. This week, we will learn and discover more about olives and olive oil in Session Five.